The "month" name should be a full month, not just a number. It's fetched from strftime, which in turn comes from lc_time_t, which in turn is supposed to be filled by ​ICUTimeData. PulkoMandy confirms that in the fr_FR locale there is a full month name. 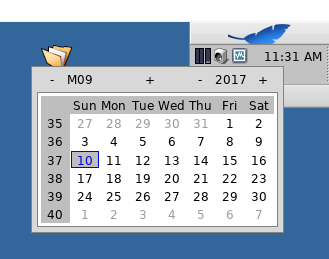 Seems fixed now, probably by BCalendarView changes last year.